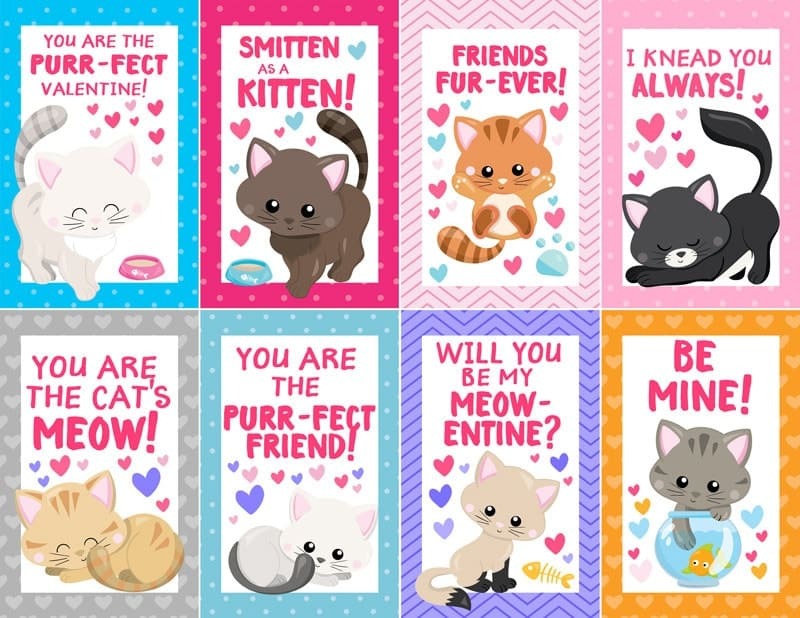 These Free Printable Kitten Valentines would be the perfect card to exchange for any kitty crazy kid. The printable is available for you to download below! 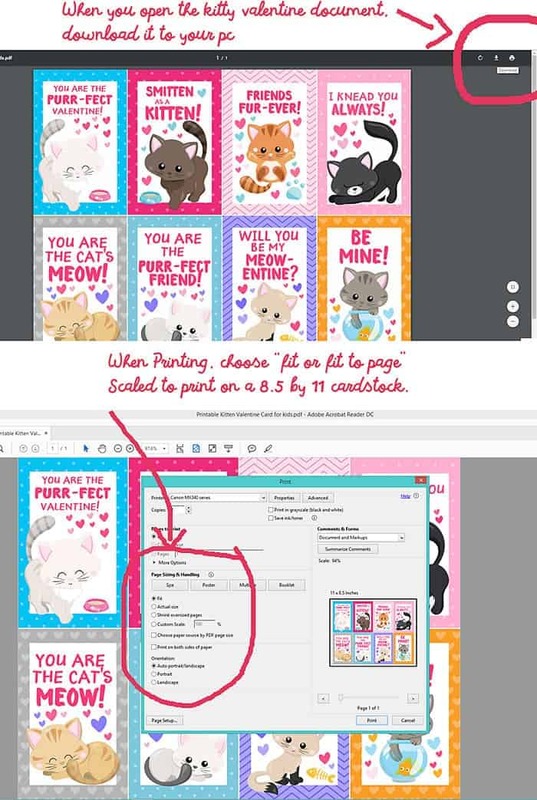 I was browsing fabric on etsy and came across this adorable kitty clip art set and had to have it. 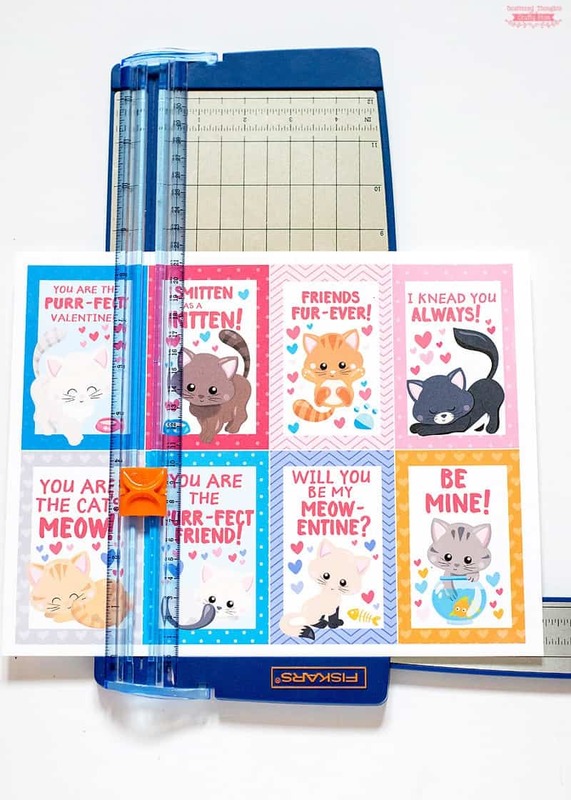 I knew the set would make the perfect Valentine for my missy to exchange at her classroom party. 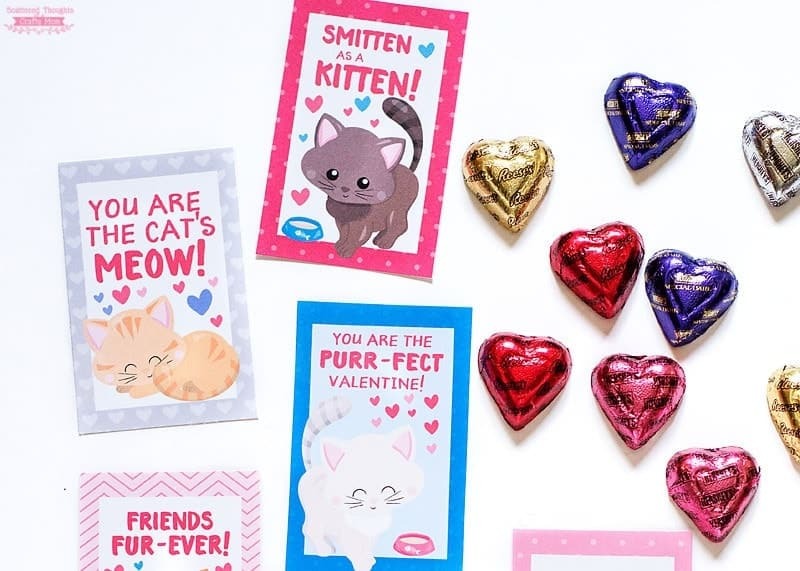 The Valentine set came out so cute, I decided to purchase the commercial license for the set so I could give them away as a free printable! 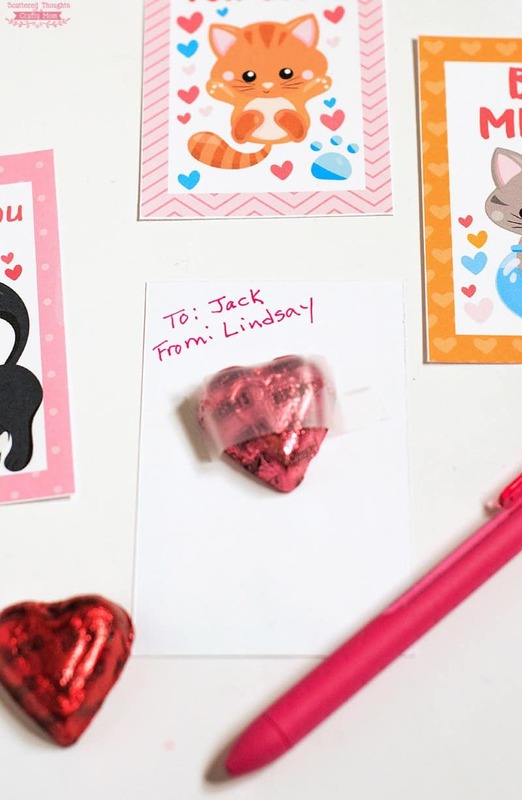 We wrote names and added a heart shaped chocolate to the back. 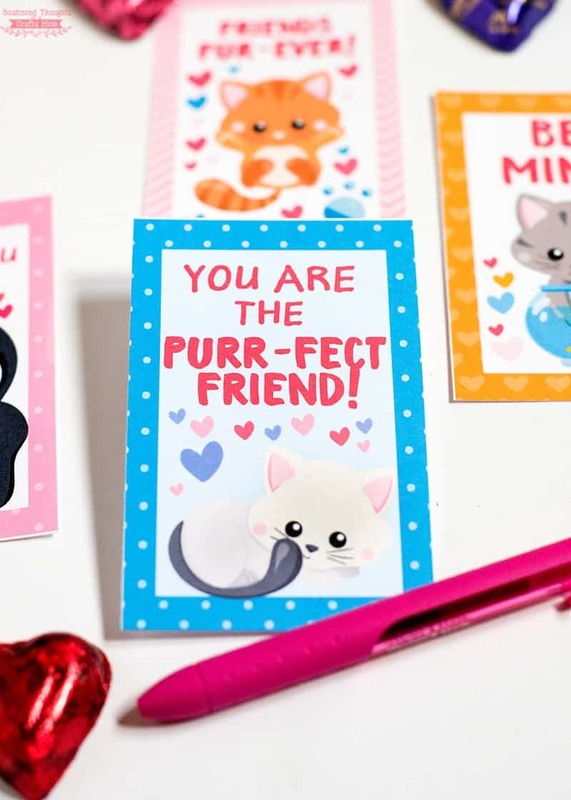 Download the Free Pintable Kitten Valentines here. 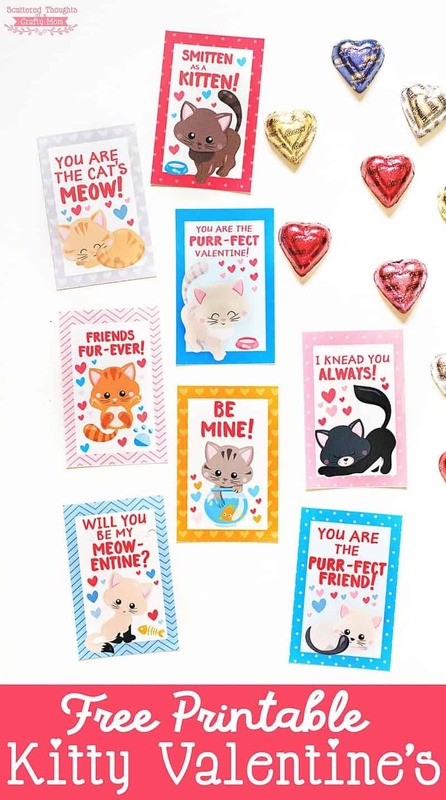 Thank you for these perfect Valentine cards! 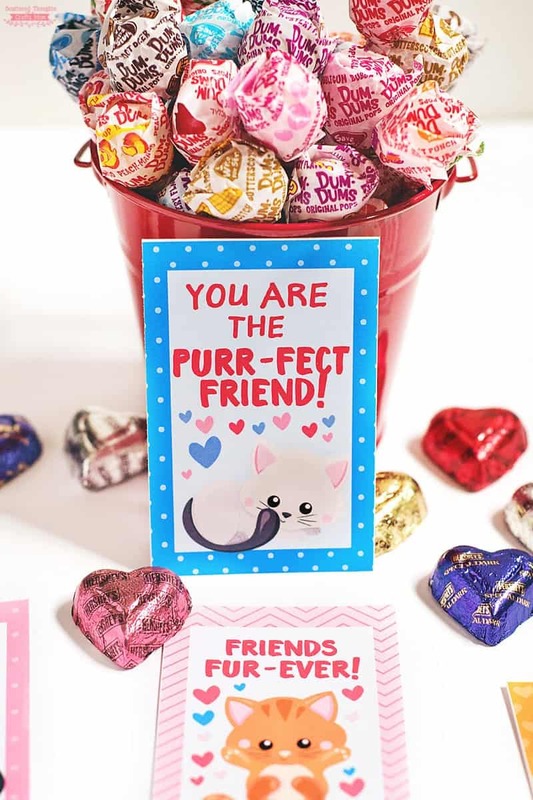 They will go wonderfully in a surprise care package for my college daughter, who is crazy about cats!